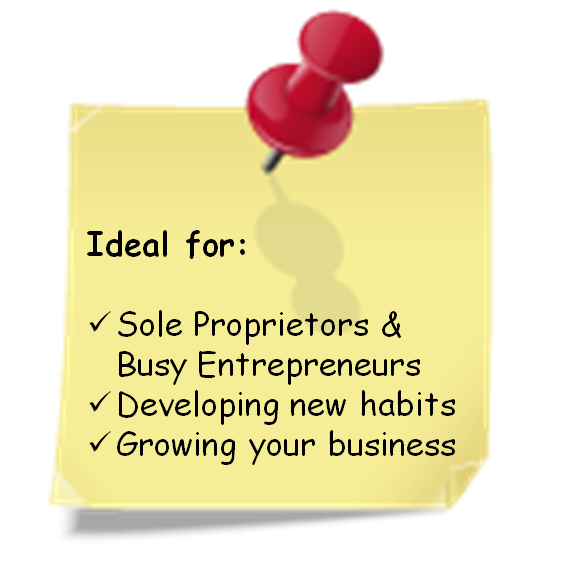 Build your business quickly by brainstorming with an experienced entrepreneur. You will establish new habits and put better systems in place. The Ongoing Mentoring Program works with you to establish realistic goals, develop skills, and get more done, so you can GROW your business! Your Mentor will hold you accountable to keep you balanced and your company on track. If you’re like most business owners, you experience frequent challenges. Imagine having a seasoned entrepreneur with whom to brainstorm or to help gather critical information to identify the best solutions. With so many other priorities, it’s invaluable to identify the right person to turn to for guidance. Growing a business requires an ongoing commitment but you can lose yourself or your family and friends in the process. Cut your learning curve and enjoy stronger results in less time with The Weekly Mentoring Program. The Weekly Mentoring Program helps you to establish realistic goals, develop new habits and skills, and get more done, all while you GROW your business! After each meeting, you will receive an email identifying the agreed upon action steps for the week. These steps will be spelled out, and broken down into bite-sized chunks of work clarifying how you will accomplish these goals. Your Mentor will hold you accountable to keep you balanced and your business on track. Give us a call when you’re ready to see beyond your own vision. Please note: Initially you work with your Mentor for 3 months. This protects your investment by ensuring that there is enough time to develop new habits and see fundamental progress. After the initial three months, the agreement runs month to month. This customized service is ready when you need it. You meet with your Mentor for two-hours to brainstorm and problem solve around your specific business challenges. You will gain clarity around the small steps needed to create the future you desire. This customized service is ready when you need it. You meet with your Mentor for two hours to brainstorm and problem solve around your specific challenges. You gain clarity around the steps needed to create the future you desire. 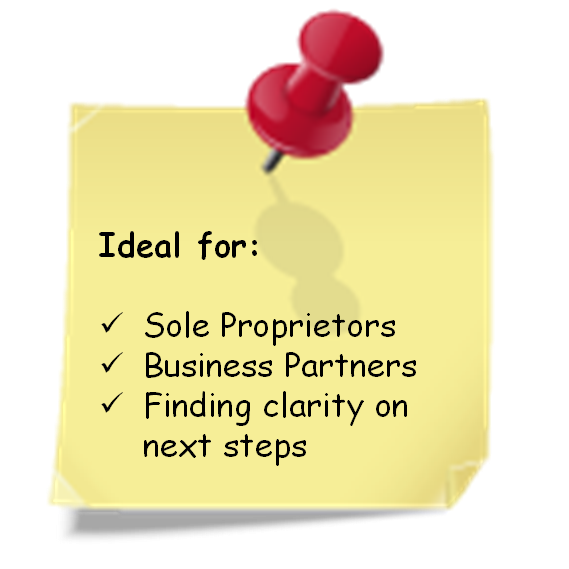 This service is best for experienced business owners who want to meet with someone on an ad hoc basis to gather the information and guidance they require from an experienced mentor. Created for organizations, our Customized Mentoring Programs strengthen collaborative practices and maximize organizational capacity. We can develop a program to meet your needs and test and measure the results. 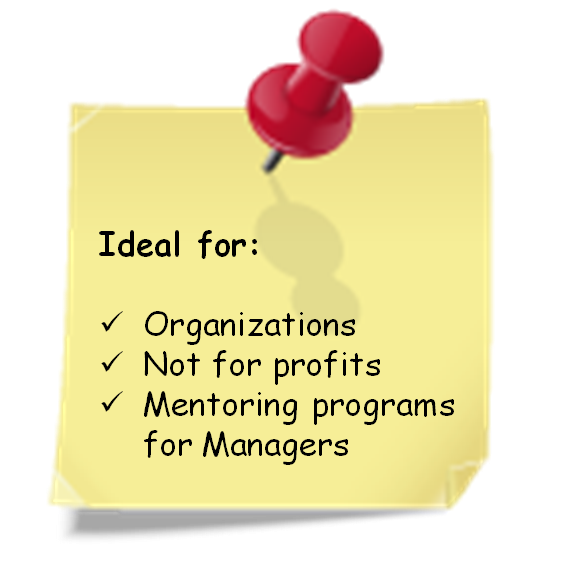 We have developed many customized mentoring programs. These have been powerful programs to support workers and management in unionized and non-unionized environments. Call Elizabeth Verwey at 416-729-1713 to discuss your mentoring needs. We offer a number of workbooks, e-Books, audio books and more, all with solid business advice and concepts that will support people make lasting positive changes in their work-life balance. Contact us to discuss our services and how we can assist you.